I am not usually at the examination centre when my pupil comes out of the exam room, so I have to wait until the next lesson to find out how he felt about the experience. The only pupils I did speak to directly after their piano exams were my own two sons – whom, I’m glad to say, were always reasonably happy, although I prepared myself for the worst as I know only too well that anything can happen on the day. I feel it was very important to give them a ‘treat’ immediately after an exam as I wanted them to have a sense of pride and happiness that they’d achieved something just by taking it … as well as relief that the pressure was finally over (… for me too). I took them for a meal or, if it wasn’t an appropriate time of day, maybe just an ice cream or a slice of cake. On one occasion, when they both had an exam on the same day, we went ten-pin bowling followed by a meal (… somehow the treats seemed to get more expensive with every grade). Obviously each parent has his own ideas about how to reward a child. Some may just say: “well done”, while others wait until the results come out to fulfil promises made in advance: a gift or money depending on the mark – as they believe such enticements will make their son or daughter work harder. They may well be right. To me, though, the achievement is being thoroughly prepared for the exam (I wouldn’t let anyone enter unless I considered they had worked hard enough) – and I feel it is this – rather than the outcome – which should be rewarded and celebrated. Unfortunately, as I know to my cost, no matter how hard a pupil has worked, an exam doesn’t always go smoothly on the day and can end in a disappointing result (… bearing in mind that parents and pupils expecting a distinction could easily be ‘disappointed’ by a merit). If either of my children had received a lower-than-expected result, I would have hated to add to his disappointment by denying him a reward for all his effort. Anyone who has not taken an ABRSM exam before may be surprised to learn that there is a quite a wait for the result (occasionally less than two weeks but often up to three and maybe more). I do indicate this on my initial letter to parents describing what an exam entails but by the time it actually happens they have forgotten, and many persist in asking me, despite my assurances that I will contact them as soon as I hear anything. If you submit your application form online, you can access a guide to the likely date of results being made available. In any case, you will receive an e-mail as soon as yours are released; just log in using your user name and password and the results will appear on screen (information on your candidates cannot be accessed by anyone else). You can see a break-down of the marks by clicking on to a second screen but you will not be able to view the comments sheets online – these will be sent in the post, along with the certificates (assuming your candidates have been successful). The certificates arrive in a hard-backed envelope to prevent creasing (usually a day or two after results are issued) and I try to ensure I have something suitable for my pupils to take them home in, as many like to frame their awards and display them on the wall. I once received a certificate with an ink stain on it; I reported this to the ABRSM and was promptly sent a replacement free of charge. 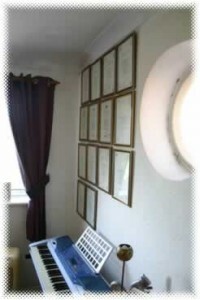 The arrival of the certificates – along with the marking sheets – is always a particularly exciting time for me. I’m intrigued to know to what extent the examiner’s comments reflect my own assessment and sometimes photocopy the sheet so I can read through it again after handing over the original to the appropriate candidate. Many of the critical comments are fairly obvious: note stumbles, rhythmic errors, insufficient dynamics or an inappropriate tempo. (The ‘A’ pieces are sometimes played too slowly – although many pupils would be unable to speed them up in time for the exam without doubling their note errors). Others however, are things which I probably neglected to think about when I started teaching. One of the examiners’ favourites is: “lack of balance between the hands”. By this, they mean that the accompaniment is too loud in comparison with the melody line which should always be given greater prominence. Another popular one is musical ‘shaping’ which sometimes overlaps with comments about phrasing. What the examiner is looking for here is how well the candidate relates consecutive notes to each other: for example whether he is successful in producing gradual increases in pressure to create crescendos and gradual decreases for the diminuendos. The pupil should always be aware of where he’s ‘going to’ and how to portray a musical ‘climax’. The examiner’s ear is very sensitive to things like a tendency to be too heavy on the pedal or an uneven touch in, for example, quick semiquaver passages. Of course these are details which relate mainly to the higher grades and can be difficult to teach. By the time they reach this standard, many pupils have developed a sensitive ear and have learned to self-correct – for those who haven’t it’s sometimes just a case of waiting for their ability to mature. When I hand over the marking sheet to my pupil, I generally talk it through with him – checking that he understands the technical terms so he knows where his strengths and weaknesses lie and can aim to improve at the next grade. Receiving the certificates is extremely rewarding for a teacher and – in my case – I am particularly pleased to see my own name (as the person presenting the candidate for his exam) on those bearing the word ‘merit’ or ‘distinction’. This is because I never achieved anything more than a ‘pass’ myself. Pupils who notice my name on their certificate (and for most that’s probably the least significant part!) may be pleased to see it’s followed by ‘BA(HONS)’ – at least now they (or, perhaps more importantly, their parents) can be reassured I do have some kind of formal qualification. Those who know anything about the subject, though, may be disappointed that I’m not a ‘BMus’ (Bachelor of Music), although I imagine most would expect me to have studied music as part of my university course. If anyone actually asked, I’d have to admit my degree has absolutely nothing to do with music. As I said before, much as I would love to be a better-trained (and more talented!) musician, I don’t feel it’s essential for this occupation and I still believe myself to be extremely successful. 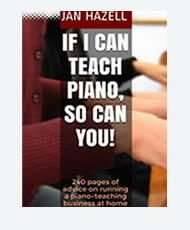 Of course, everyone has a different interpretation of a ‘successful’ piano teacher. Is it the number of pupils a teacher has each week, the number of pupils who continue their lessons for more than two years, the number of pupils who pass exams, the number who receive distinctions, how much the teacher is earning … or maybe it’s the number of pupils who say they enjoy playing the piano? I don’t think there’s any right answer to this question and each teacher will have his or her own priorities. Also on my pupils’ certificates – just above my name – is a reference to “QCF” (Qualifications and Credit Framework) with a ‘level’ and the total number of credits. I have tried, in vain, to understand what purpose these credits serve – firstly by looking on the government ‘Ofqual’ (Office of Qualifications and Examinations Regulation) website, then the ABRSM website and finally by telephoning the ABRSM and speaking to an advisor. The ABRSM advisor did his best to explain but, to be honest, I didn’t feel he understood it any better than I did. The only real significance of the QCF levels is that the level 3 (i.e. instrumental exams at grades 6, 7, 8) qualifies for UCAS points (for more details see the table in the Making Entries section of Examinations). The credits seem irrelevant though and don’t even differentiate between ‘pass’, ‘merit’ and ‘distinction’ – while UCAS points definitely do. In any case, I’m sure most further education establishments and employers would find it more helpful to know: “I passed my Grade 6 piano examination’ rather than ‘I’ve got 22 QCF credits’. As soon as I know a pupil’s result, I always phone him straight away (even before telling my husband or children who are always keen to know how my candidates have fared). I will ask to speak directly to the pupil and if he’s not available I leave a message for him to phone me. I never tell the parent first, as this would feel disloyal: it’s the pupil himself who has put in the months of work so I feel he deserves to know the outcome before anyone else. Of course, if the parents wish to speak to me afterwards I am more than happy to oblige … especially as – on the whole – they tend to be very grateful, relieved and happy at this point. I have to admit, though, not all my experiences have been positive. Firstly, there was one teenage pupil who backed out of his grade 4 exam at the last minute. He was an able pianist who had successfully completed grades 1, 2 and 3 – all with higher than average marks and, although he was less well prepared for his grade 4, I felt confident of a positive outcome. However, although his mum managed to get him as far as the exam centre, the boy absolutely refused to go in. I couldn’t help wondering if I’d been there (accompanying one of my sons) whether I’d have been able to persuade him to change his mind. Of course, his parents were disappointed – and, no doubt, upset about having wasted their money. Despite continuing with lessons for several months afterwards the boy, sadly, never took his grade 4.